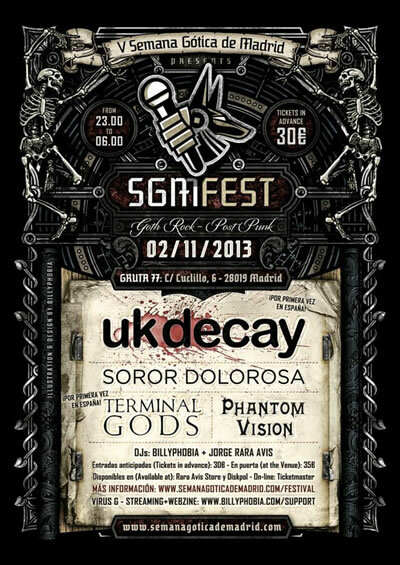 The band head to Spain to perform live at ‘Semano Gotica de Madrid’ SGMFEST on 02/11/13. This will be UK Decay’s first ever visit to Spain and the band are really looking forward to their visit. The full itinerary is as follows..
Rara Avis Store , C / de la Palma 40 and Diskpol , C / Jesús del Valle 8.